Scorpions, dragonflies, grasshoppers, large and small beetles, ants, earthworms, caterpillars, centipedes, mosquitoes, flies and many others are buried in amber. Even a spider web with spiders and caught flies has survived, various mites parasitizing on insects. Less common are lizards, mouse-shaped rodents, wool of various animals, birds (feathers are more common). Amber is a semiprecious stone of plant origin. In other words, amber is a petrified resin. A resin - a substance that is allocated to protect the damage, the "wounds" of the tree and, accordingly, have astringent, sticky properties. 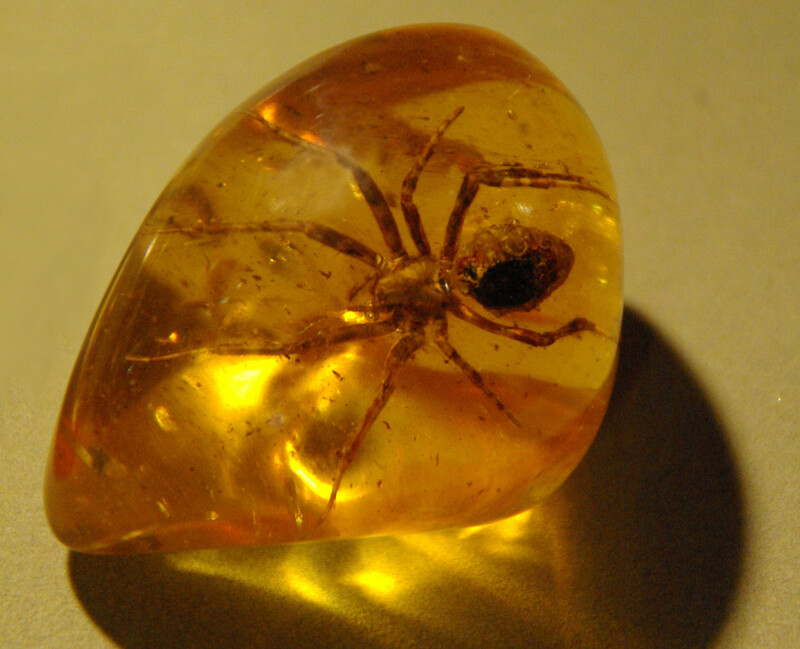 Amber was formed at the end of the Mesozoic - the beginning of the Cenozoic era. At that time, there was a transition from dinosaurs to mammals. Amber has many poetic names - "tears of the sea", "the gift of the sun", etc. Crystal structure, color bands, voids, various deformations and even air bubbles - everything makes amber stones so amazing and rare. Smoldering coats do not always turn into amber. Most often they fall to the ground and gradually decompose. The resin dries up, oxidizes, after a few thousand years, nothing remains of it. It will turn into amber only if, if hardened, it gets into the water, preferably in a lake or sea, where it will be reliably sheltered from erosion. 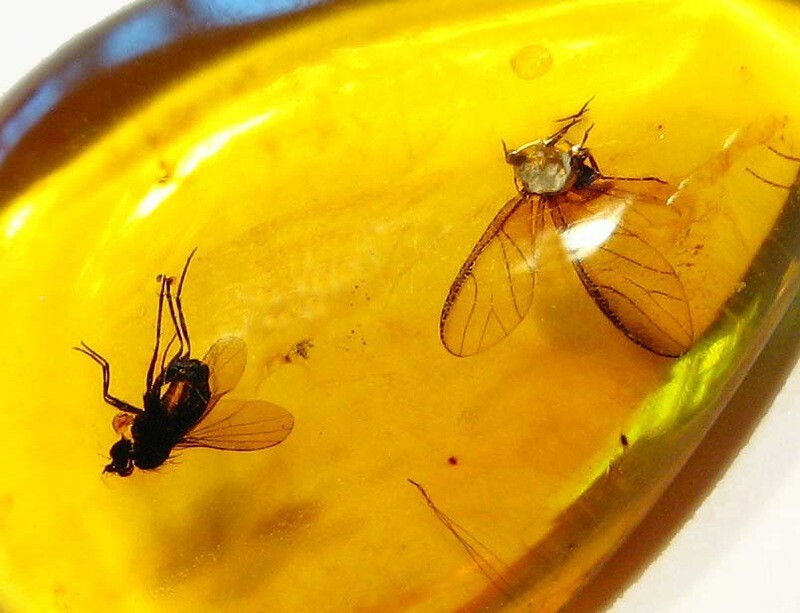 Everyone knows that amber can keep frozen insects, plants and animals (inclusions) that existed many millions of years ago. These are tiny windows through which you can look into the distant past can show us amazing things. Insects have been preserved completely, from wings and antennae to the smallest hairs and villi, even the color has not changed. 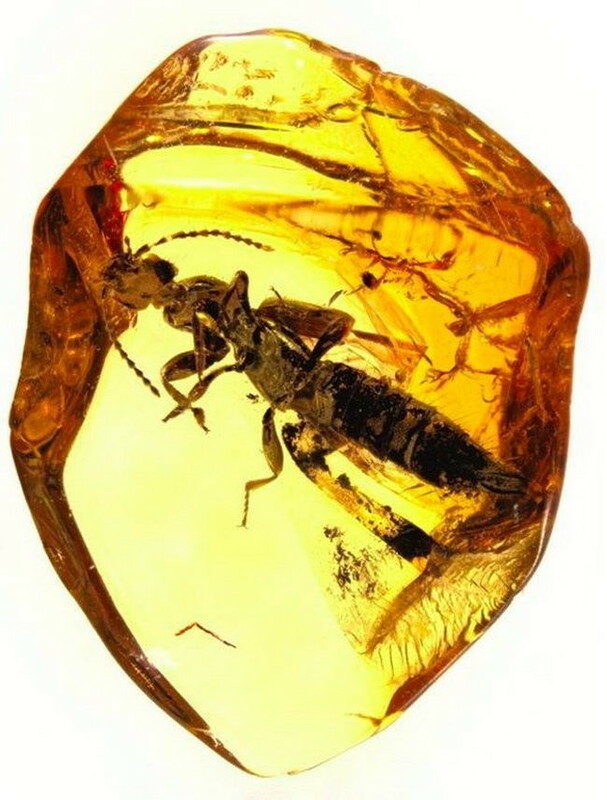 Amber with the inclusion of an insect or a plant has been valued since ancient times. 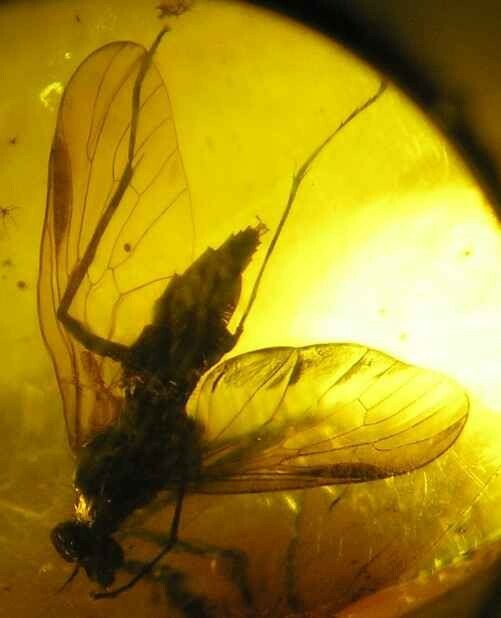 At the beginning of our era of amber containing a fly, Phoenician merchants were paying 120 swords and 60 daggers. Especially popular was the collection of such wonders among the high society of France and Russia in the early 19th century. For example, in France and Russia "for the fly" was given huge money. And even now, collectors for some samples are ready to shell out up to several thousand dollars. 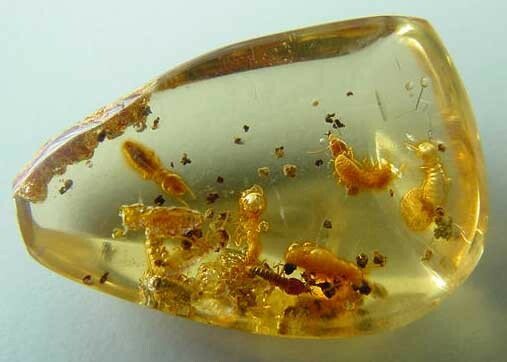 It is known that air bubbles and droplets of dew were extracted from amber and analyzed. Thus, it was concluded that during the Paleogene the atmosphere had a different gas ratio: for example, oxygen was twice as large. 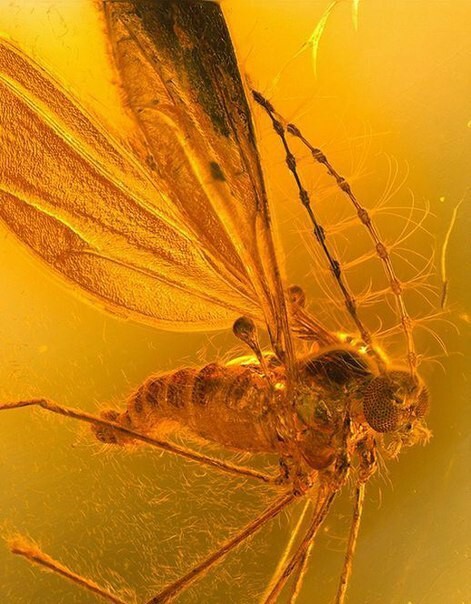 However, the golden pieces of amber preserved to the smallest detail the features of the external structure of the insect organism. According to the remains of many kinds of insects in semi-precious stone, under a microscope, we see arthropods as they were in antiquity. When the resin only emerges from the trees and is very sticky, small insects such as bees, flies, ants and even spiders can get bogged down. 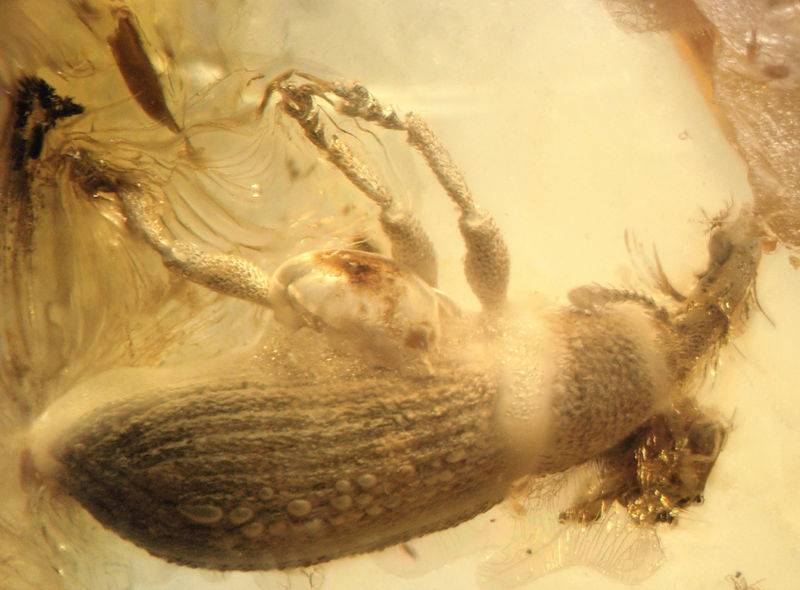 Larger individuals, touching fresh resin, can usually escape, while small insects have virtually no chance. 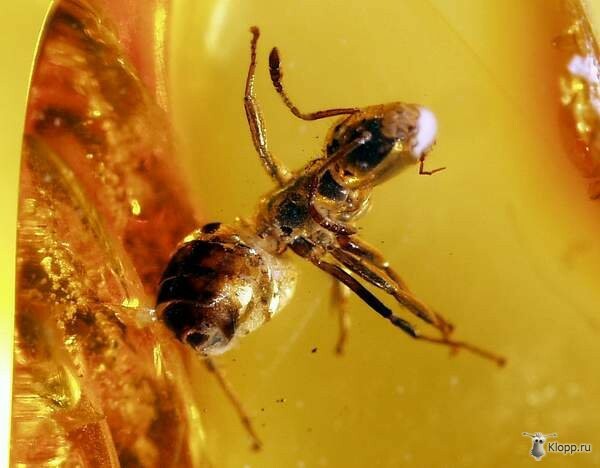 Adhering, the body of a small insect quickly sinks into the resin, so all insects and arachnids found by scientists do not exceed 4 mm in length. 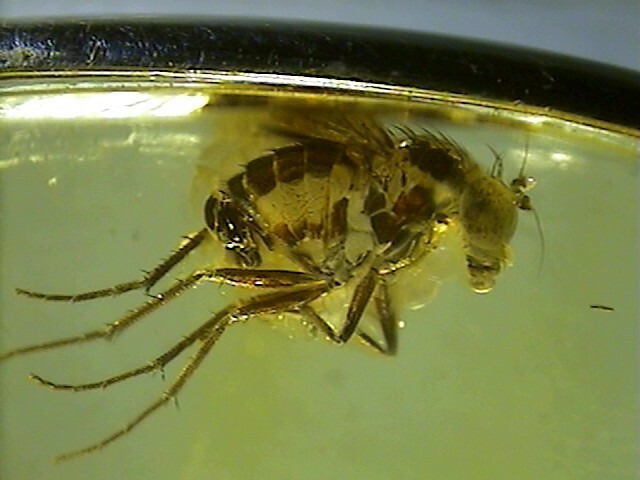 It is very interesting to note the fact that the position of the legs of an insect can always conclude - whether the insect died, stuck in resin, or a dead insect has already fallen into the resin. In the first case, the paws are spread wide, as if they try to push the insect out of the resin, and in the second case, all the paws are collected from below at the abdomen. COMRADES. 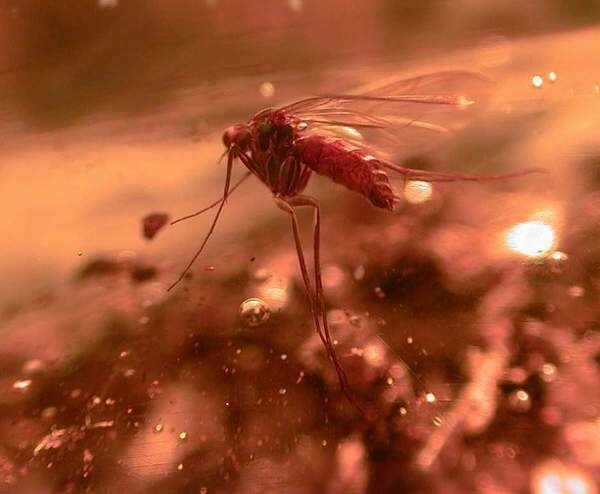 The most frequent "inhabitants" of amber sarcophagi are mosquitoes: they were attracted by the smell of resin, and there was not enough strength to get out. 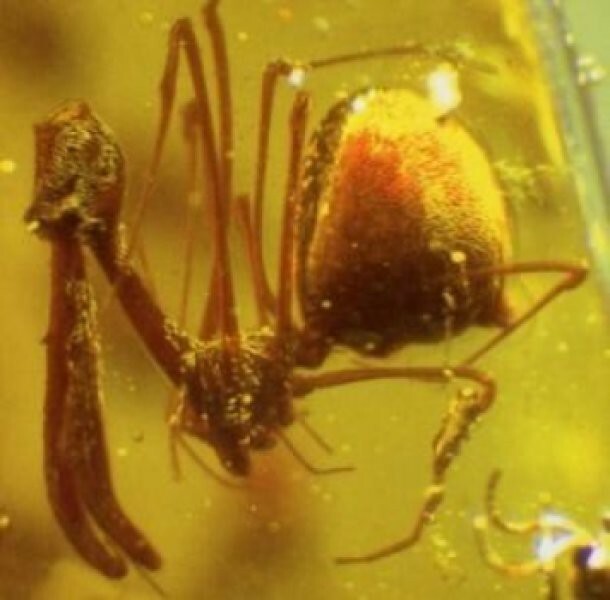 Approximately ten percent of the resinous creatures are spiders, often in amber, along with a cobweb that has preserved its three-dimensional structure to this day - evidence that in prehistoric times the resin had a reduced viscosity. 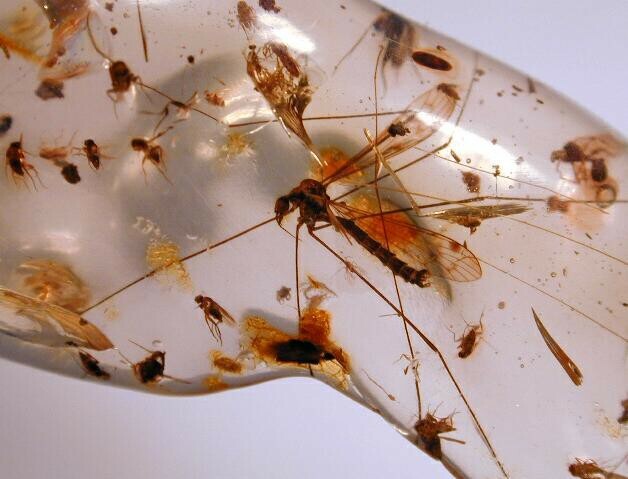 Insects larger - beetles and earwigs - are found in amber much less often and usually - with wide open wings. They had enough strength to free themselves from the resinous captivity, but if they got into it with their wings wide open, the contact surface with the adhesive resin was too big. MOTORS AND BUTTERFLY. What are the chances that the butterfly's wing will remain in a state close to ideal for millions of years? In case the butterfly is stuck in amber, the chances are very high. 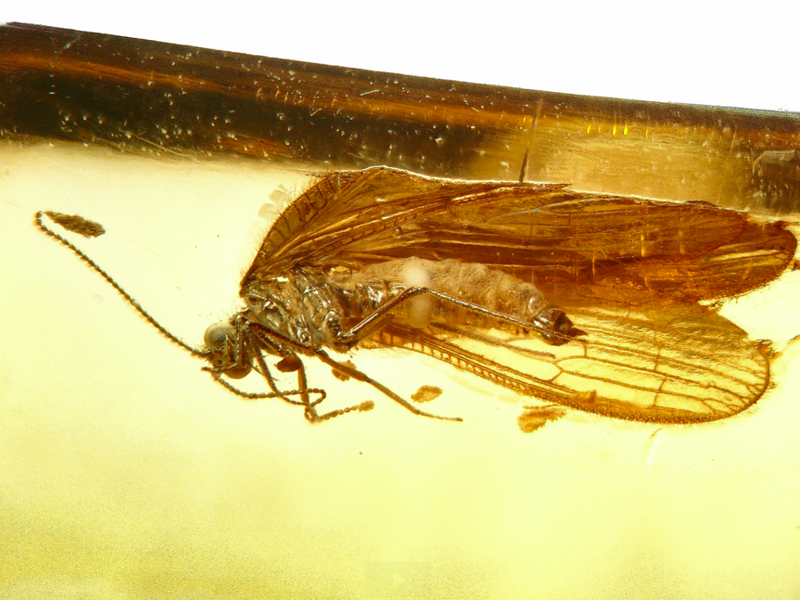 Fossilization in amber allows to preserve the natural detailing of insects, as well as the natural coloring of their wings. ANTS AND ATS. 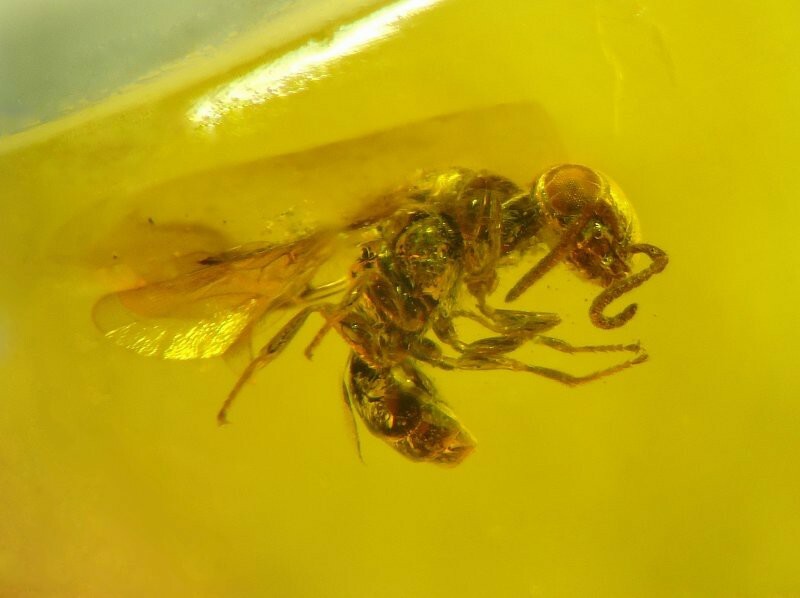 Various species of wasps lived on Earth many millions of years ago, It is known due to some of them who had imprudence to get stuck in fossil pitches. 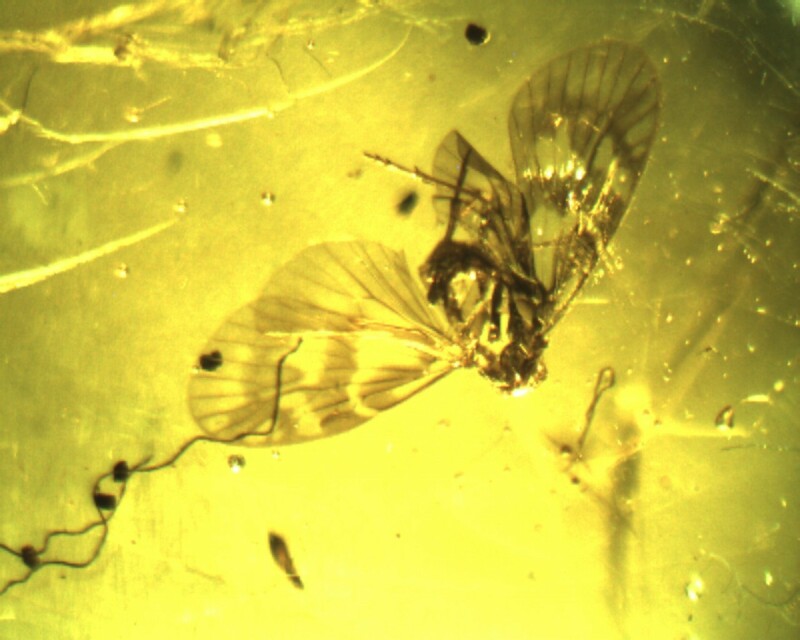 Fossil resin was very sticky, but nevertheless its viscosity was not too high so that the insect could spread its wings-the last time in life. 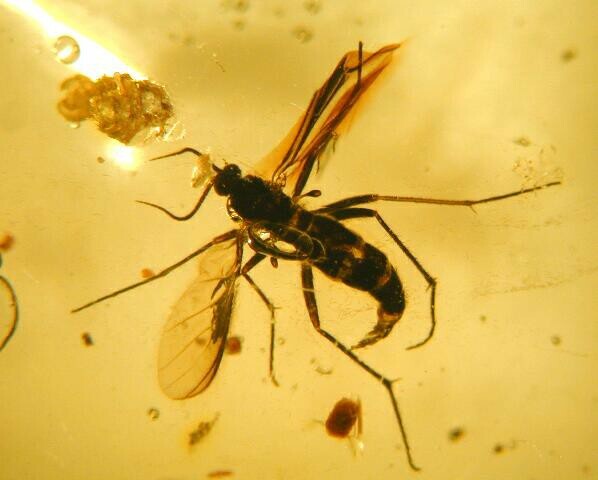 If you think about it, this wasp could fly next to the dinosaurs with whom she lived at the same time. SIGHTS. 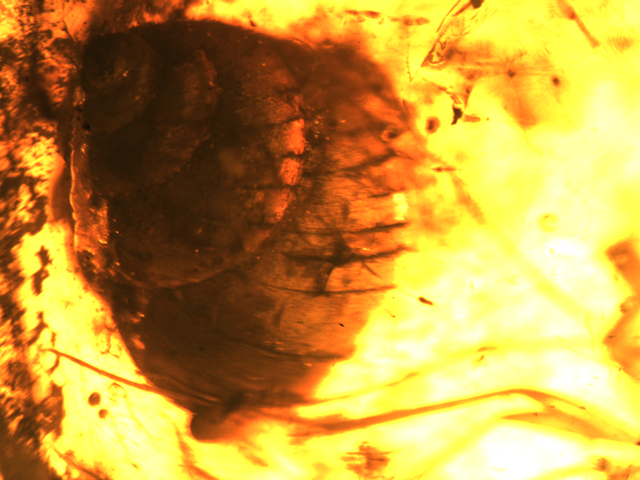 All creatures, both large and small (but mostly small of course) are subject to the viscous embrace of fossil resin. 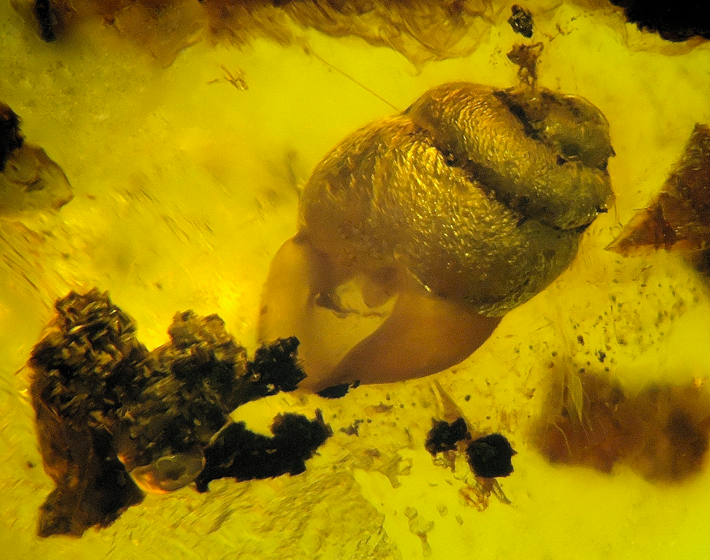 Snails frozen in amber are quite rare. 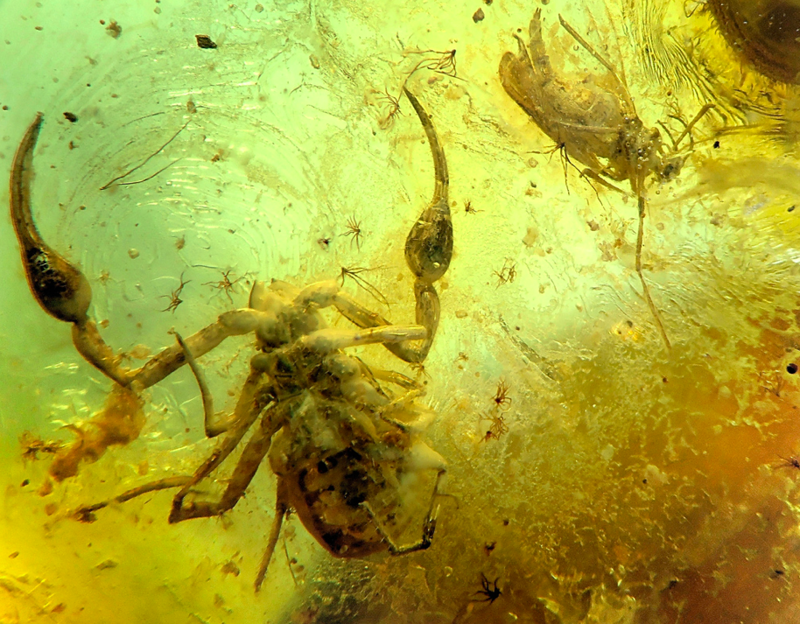 Arthropods, adhering to a drop of resin, did not drown in it, but overlapped with new batches of resin, so that the animal could not get out of its transparent dungeon. The resin had a low viscosity and froze quickly, which ensured the good preservation of even the finest, micron-measured organs of arthropods. 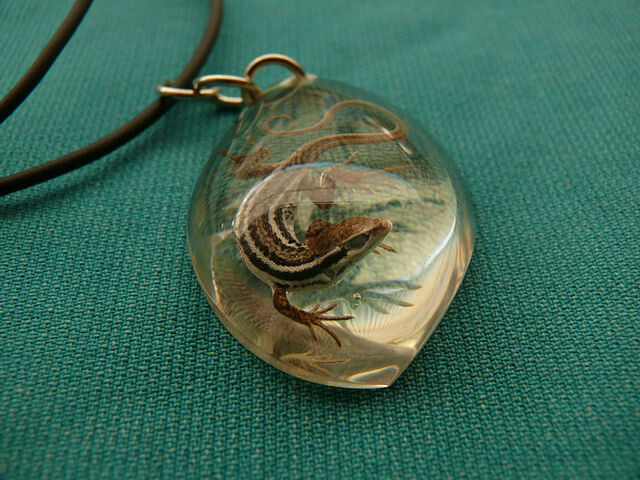 According to some reports, 30-40 scorpions in amber, 10-20 lizards and 8-9 frogs were found all over the world. All of them are very valuable. SPIDERS. 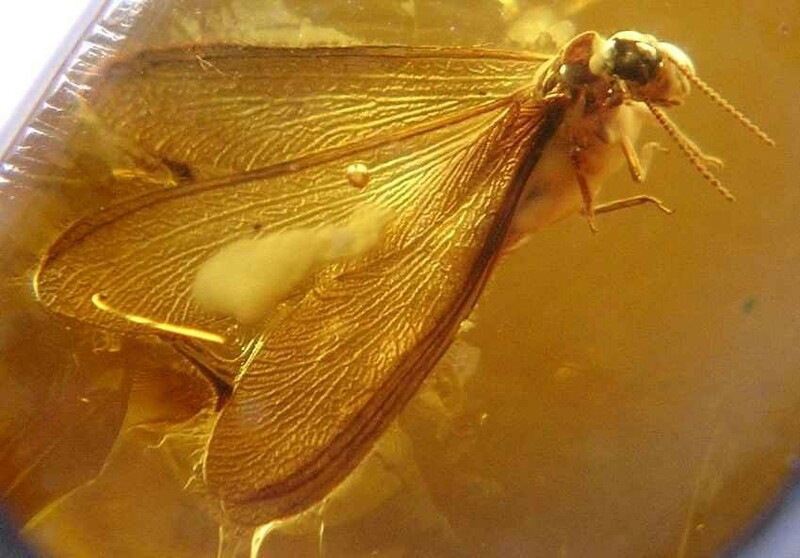 Fossil resin, which eventually turns into amber, is a kind of miniature version of the swamp. Once hitting it, there is no way out of it. True swamp does not fall on you unexpectedly from above, as it can make a resin and it is certainly not transparent golden color. 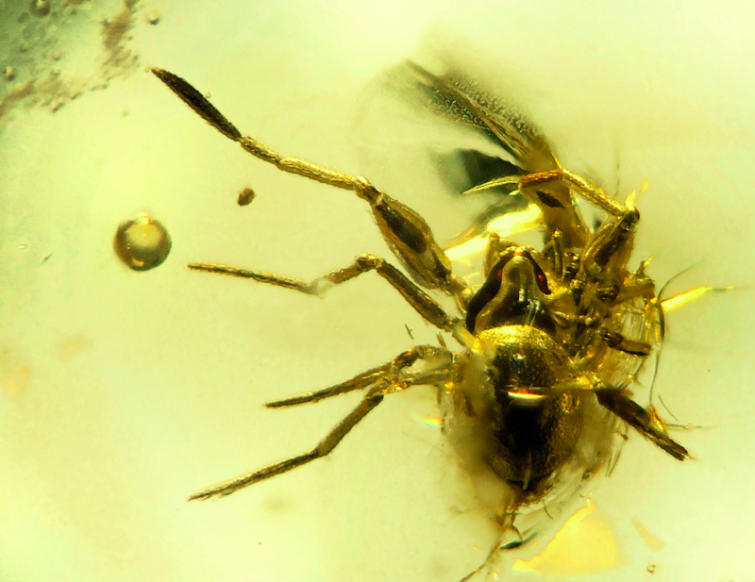 The evolution of arachnids would have been known very little, if not for spiders found in amber. The spider in the photo looks like it was trapped just recently. But in fact, more than ten million years have passed since that moment. 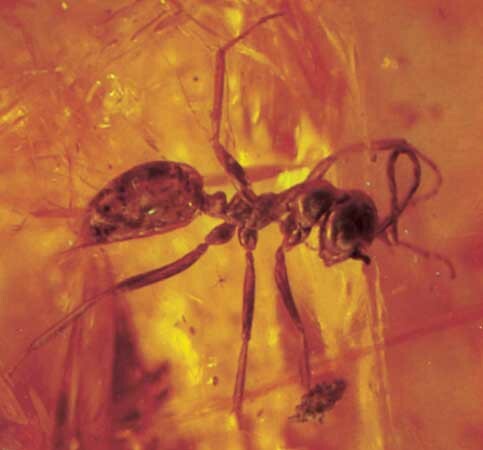 In one of the pieces of amber was a false scorpion, which, barely seizing the beetle's legs, along with it fell under the resin. FROG. 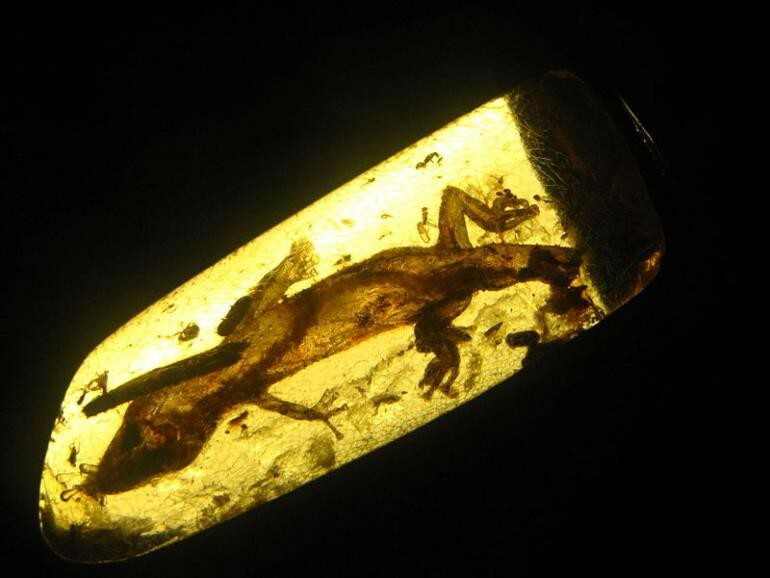 Frogs, toads and other amphibians are very rarely found in ancient amber for one simple reason, they are all much larger than insects and are able to escape from the viscous resin independently. 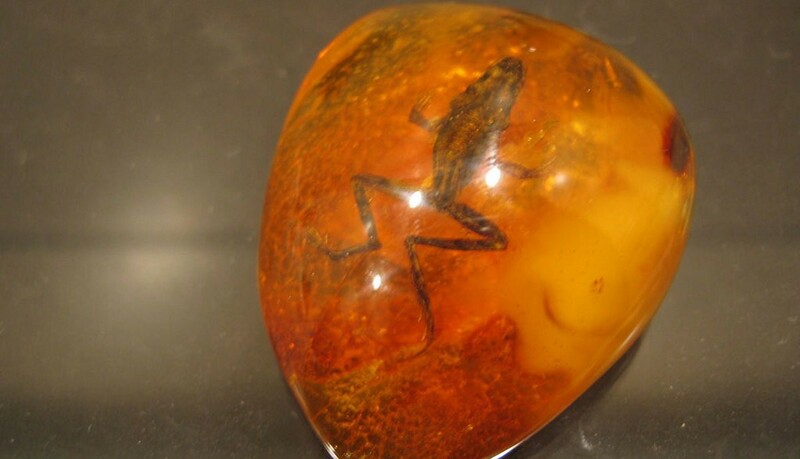 A piece of Dominican amber with a small frog (found in 1997) was valued at over $ 50,000. LOTS. 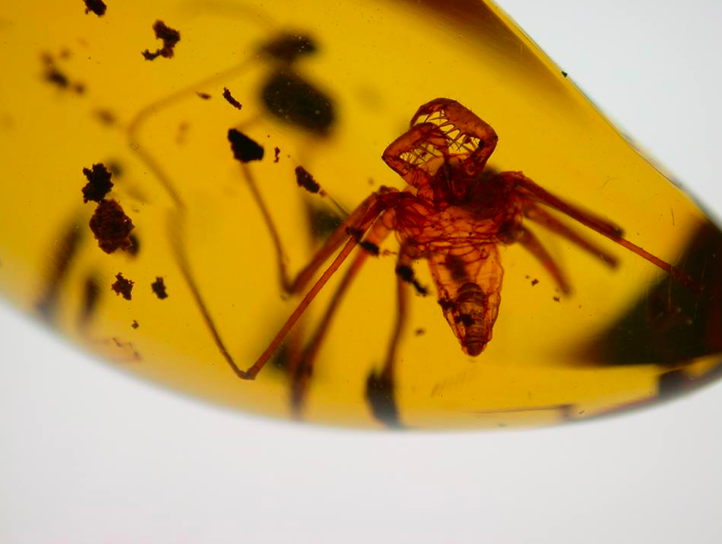 Finding a lizard in a piece of amber is a rare phenomenon. 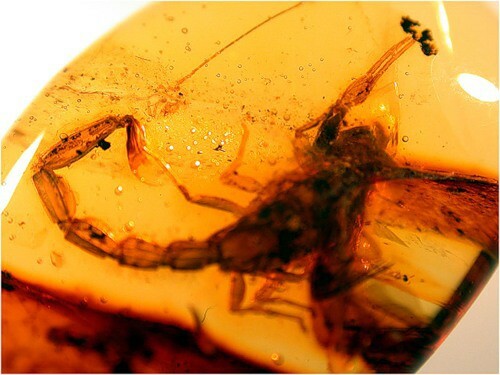 This lizard spent over 2 million years in amber, but it looks as if it was stuck there only yesterday. Any insect naturally trapped in such a trap will try to break free. 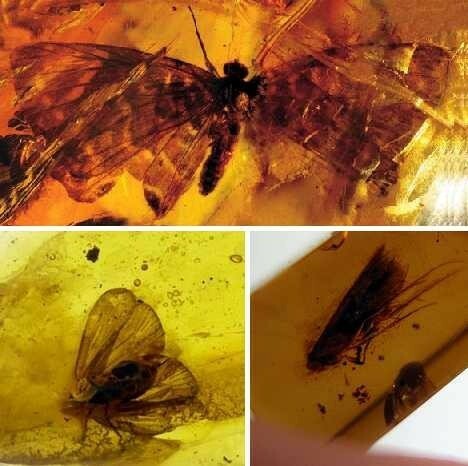 That is why "excellent" and well-preserved samples of insects in amber - this is most likely a fake. 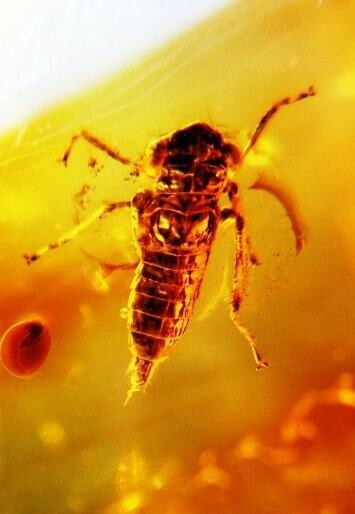 Interest in animal inclusions in amber spawned a whole industry of counterfeits, made so skillfully that they can hardly be distinguished from natural ones. One of the means for distinguishing falsifications from real inclusions is irradiation with both ultraviolet rays. 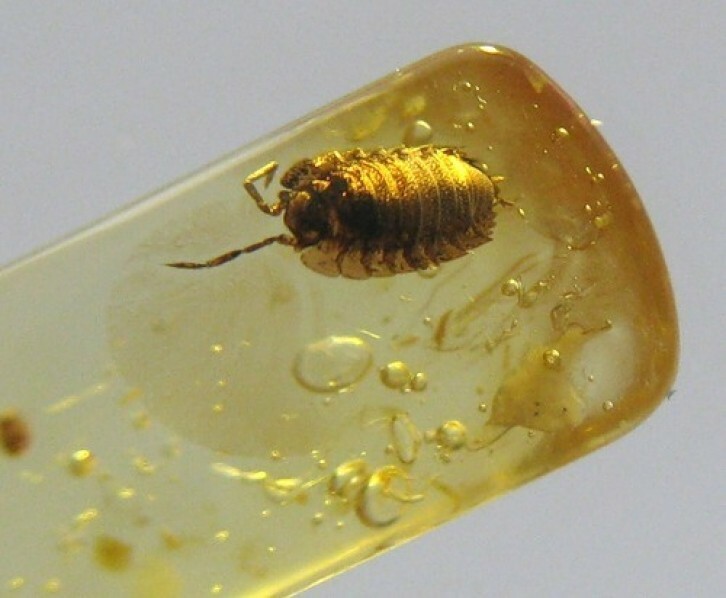 Under the influence of irradiation, natural amber glows in different colors, and imitations do not possess this property.